Welcome to Togura Station, the gateway to Togura-Kamiyamada Onsen. 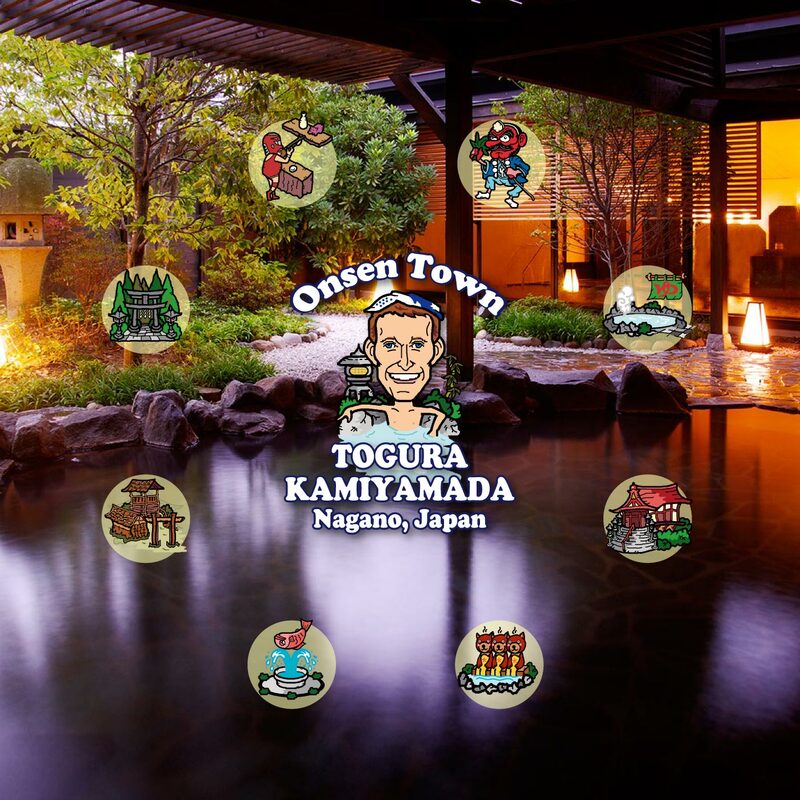 And, welcome to the Onsen Town Togura-Kamiyamada Audio Tour. Nagano Prefecture's Togura-Kamiyamada Onsen is nestled in a valley along the banks of the Chikuma River. The hot spring mineral waters of Togura-Kamiyamada have been rejuvenating traveler for 125 years. The skin-smoothing alkaline onsen water high in sulfur content can be enjoyed at the various inns and hotels as well as the 7 day-use bath houses. Togura-Kamiyamada became renowned as a stopover point for pilgrims to nearby Zenkoji Temple and boasts a lively geisha presence to this day. Togura-Kamiyamada is a convenient 2 hours from Tokyo by shinkansen bullet train, and is centrally located to the best of Nagano, such as the snow monkeys of Jigokudani and Matsumoto Castle. It isn’t isolated in the middle of the mountains, nor is it crowded into a concrete jungle of a city. It is a town, with 30 ryokans for lodging and over a hundred outstanding eateries and bars, and a plethora of family-run local shops to explore. It is a town – an onsen town. The locals like to think of it as THE Onsen Town, Togura-Kamiyamada. Your guide for this audio tour of Onsen Town Togura-Kamiyamada is Tyler, an American-born innkeeper of one of the local ryokans. Use it while planning your Japan itinerary to get an idea of the memorable experiences waiting to made in Togura-Kamiyamada. Or use it to tour the town once you've arrived, for an insider's perspective with this audio guide. An accompanying map and detailed information about 100+ of the town's inns, restaurants, bath houses, shops etc. are available at www.onsen-town.com.